On Friday 23rd of June, City-zen’s innovative home battery project (virtual power plant) in the Amsterdam Nieuw-West district enjoyed the spotlight when not only Amsterdam Alderperson Abdeluheb Choho visited John van der Putten, one of the participants, but also various Dutch media paid attention to it. Citizen partners Alliander, Exe and Greenspread are working together in Amsterdam Nieuw-West to set up and test an online platform which aggregates people’s production and consumption of solar energy and stores the surplus locally. Due to this aggregation it’s possible to trade energy on the wholesale markets: the use of a home battery lets you store energy when electricity prices are low and discharge the battery when there are high. Trading on the energy markets with battery systems installed at households in one individual neighbourhood is new. 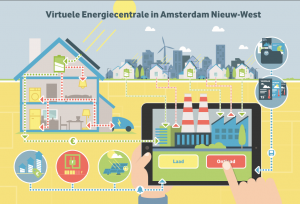 The online platform (virtual power plant) will also be connected to Alliander’s smart grid. They will examine if the batteries are able to support the local grid network during peak moments. 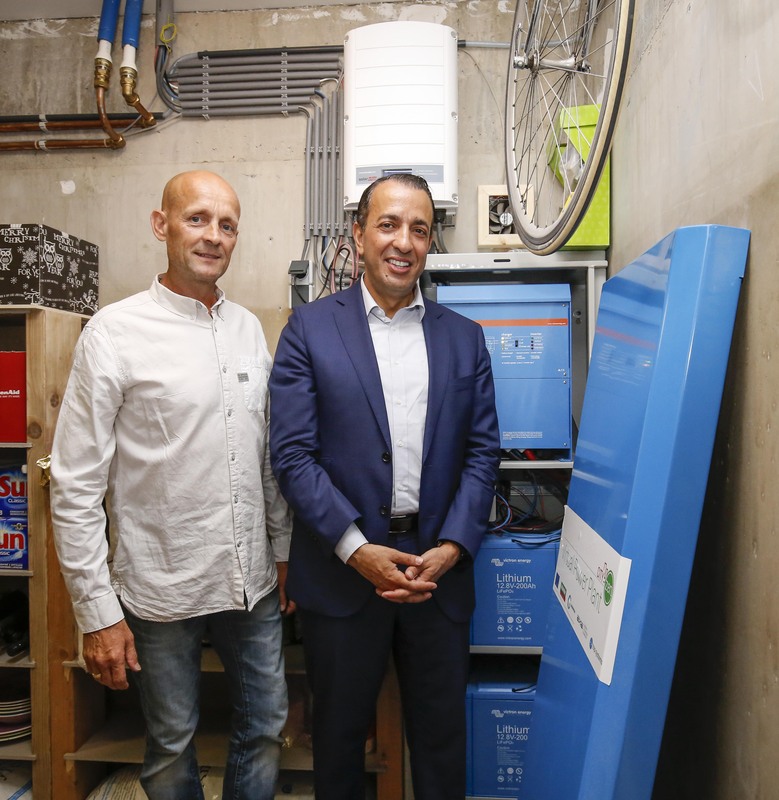 Currently 25 home batteries have been installed at homes in the Amsterdam Nieuw-West district but they are still looking for participants! 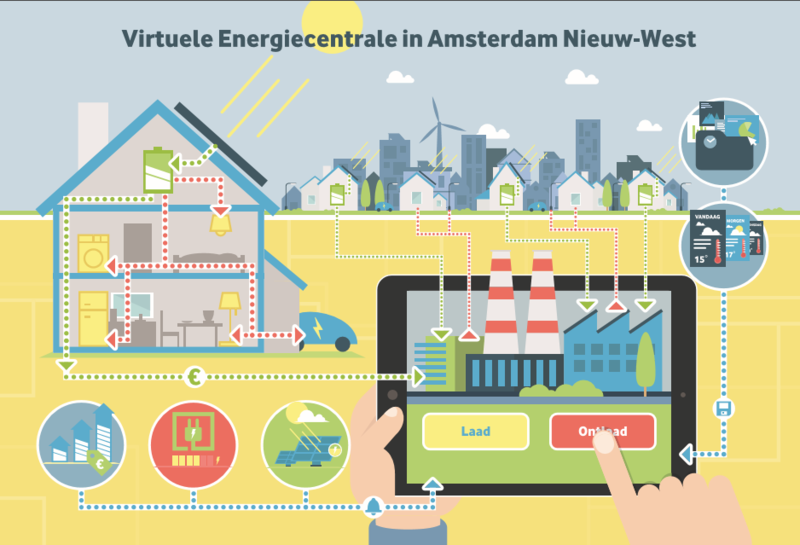 So, if you are interested to participate, live in Amsterdam Nieuw-West and have PV panels: Send an e-mail to vragen@greenspread.nl or check the website (Dutch): http://www.greenspread.nl/diensten/smart/city-zen for more information!